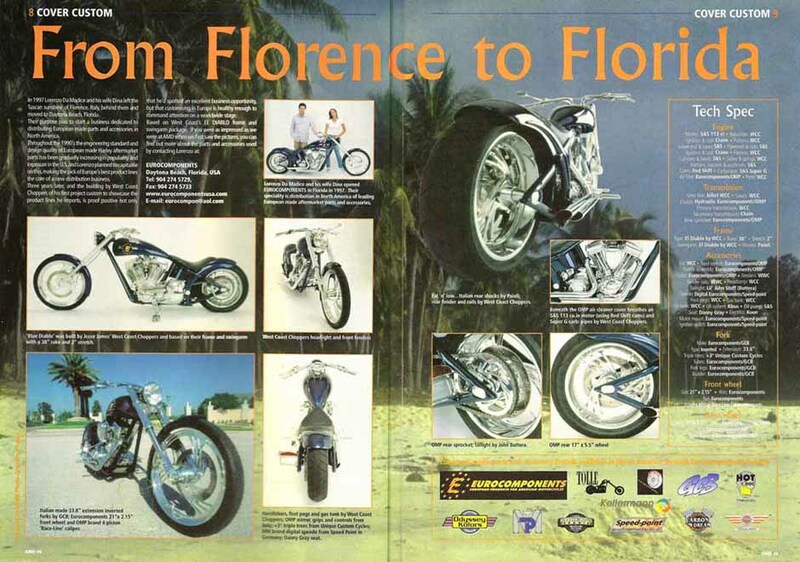 In 1997 Lorenzo Da Madice and his wife Dina left the Tuscan sunshine of Florence, Italy, behind them and moved to Daytona Beach, Florida. 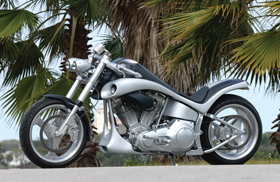 Their purpose was to start a business dedicated to distributing European made parts and accessories in North America. 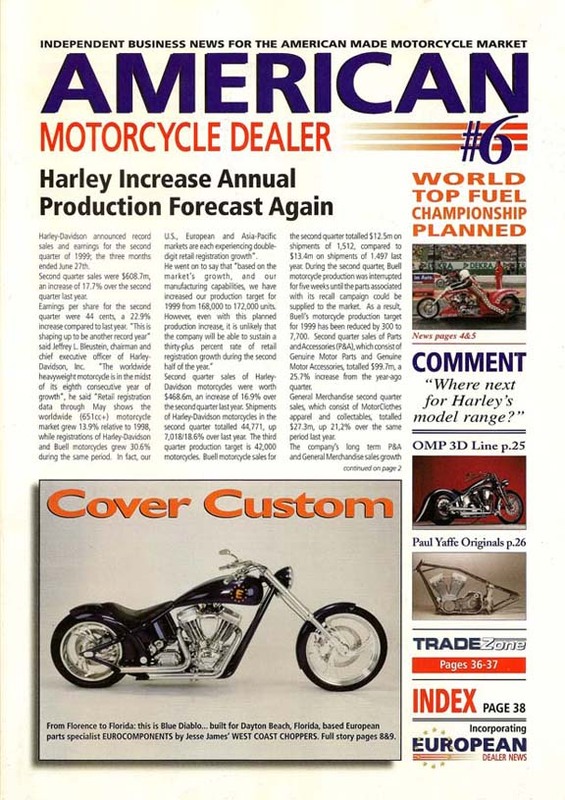 Throughout the 1990’s the engineering standard and design quality of European made Harley aftermarket parts has been gradually increasing in popularity and exposure in the U.S. and Lorenzo planned to capitalize on this, making the pick of Europe’s best product lines the core of a new distribution business. 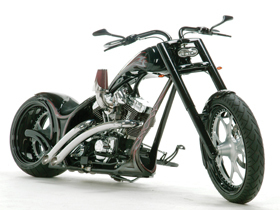 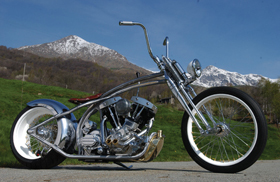 Three years later, and the building of West Coast Choppers of this first project custom to showcase the product lines he imports, is proof positive not only that he’d spotted an excellent business opportunity, but that customizing in Europe is healthy enough to command attention on a worldwide stage.